Building upon NSR’s leading research in the satellite M2M/IoT and EO sectors, Big Data Analytics via Satellite, 2nd Edition takes a deep dive into market analyses and revenue forecasts for big data services through the space segment, both in satellite communications and satellite earth observation markets. 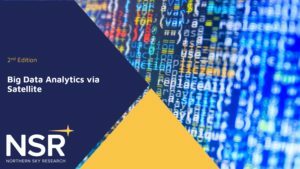 It sheds light on the market opportunity for analytics and data-capture solutions that industry players can provide by adopting a big data approach. The report offers a comprehensive analysis on satellite industry prospects from the increasingly ubiquitous nature of big data. With technology trends reducing the cost of data acquisition, storage and analytics, the use of next generation insights derived from big data continues to present a viable market opportunity across many verticals. NSR’s Big Data Analytics via Satellite, 2nd Edition addresses a fundamental question that echoes across the satellite sector: What is the market potential here? 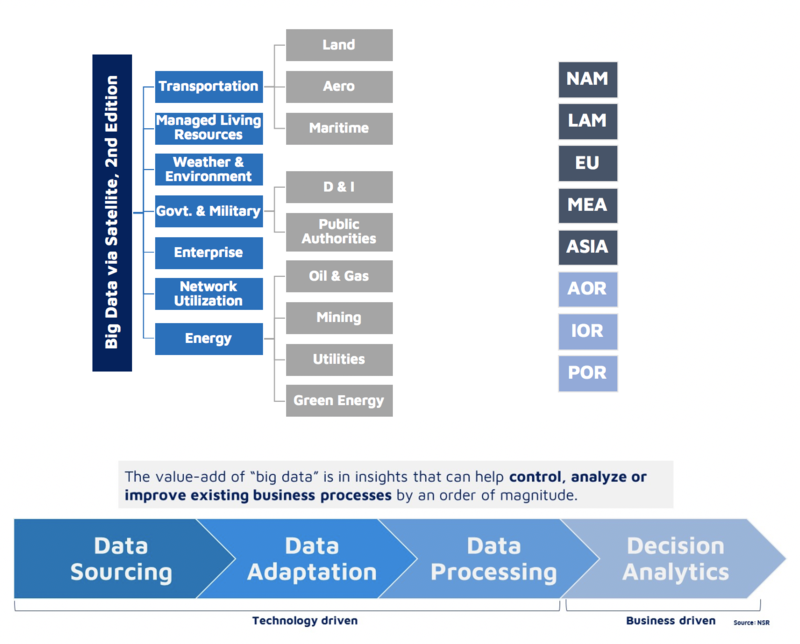 As a follow-on to the qualitative analysis of its first edition, this 2nd edition report drills into sub-vertical markets, spanning opportunities in satellite big data from Oil and Gas to Maritime Transportation. 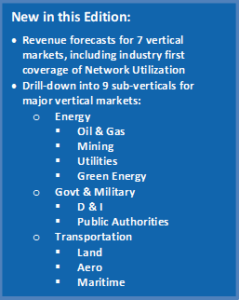 NSR’s Big Data Analytics via Satellite, 2nd Edition forecasts the revenue opportunity, dividing the market into 7 vertical segments, with the largest segments further split into 9 sub-verticals, across multiple world regions. 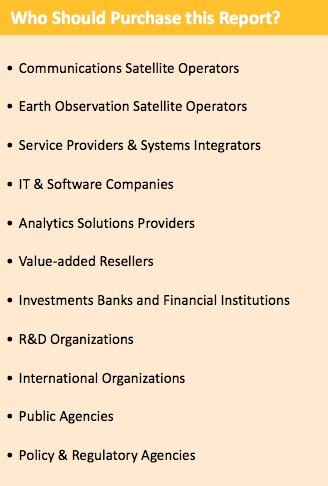 Companies and Organizations mentioned in BDvS2: Planet, Airbus, Earth-i, MDA, e-geos, Spire, BlackSky, DigitalGlobe, Inmarsat, Orbcomm, Globalstar, Iridium, Thuraya, iDirect, Integrasys, Kratos, Globecomm, Radiant Solutions, RS Metrics, Ursa Space, 20tree, Orbital Insight, SatSure, Bird-i, VanderSat, Rezatec, TellusLabs, Greenspan, SpaceKnow, Descartes Labs, IHS Markit, Harris Corporation, Microsoft, Bluefield, HawkEye 360, ICEYE, Novara GeoSolutions, ESRI, ExactEarth, Indmex Aviation, Cobham, GE, Omnitracs, Bosch, Aeris, CloudEO, Cloudera, Google, SAP, Amazon, IBM and VMWare. 2.3 Global Market – EO, SATCOM…or Both?